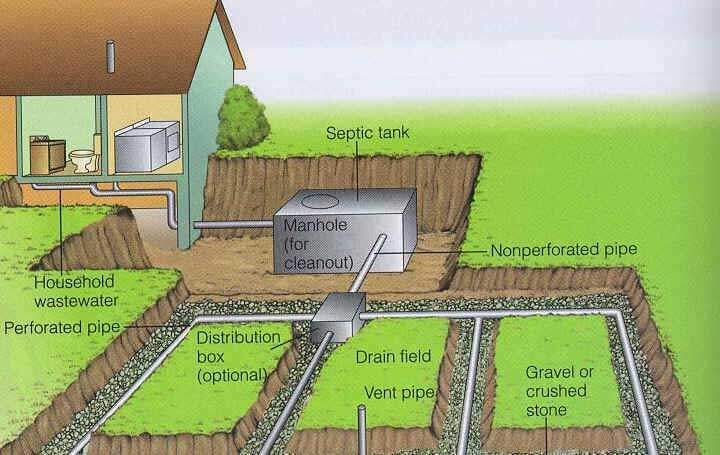 Learn how septic systems work. Using a properly maintained septic system costs considerably less than paying annual sewer usage fees. However, when septic systems are not properly maintained, they can cost a bundle. A septic system ignored for years is more or less guaranteed to cause water pollution and create big repair bills. You wouldn’t try to drive your car for 100,000 miles without an oil change. Yet without thinking about it, many people routinely dump ten years worth of waste into their septic system, and expect it to disappear. Septic systems are extraordinary devices, but they’re not magic. Pumping is cheap insurance, so when in doubt, pump it out! Regular pumping will keep solids from spilling out of the holding tank and ruining the leaching field. It will also help you find and fix small problems before they become big headaches. Also, remember that chemical additives or septic system cleaners (despite advertisements) are no substitute for pump-outs; they don’t make solids disappear! The Massachusetts Department of Environmental Protection does not recommend using septic system additives. Replace that 5-gallon toilet with a modern low-flow model (the new ones get the job done and are surprisingly cheap). Install a stylish low-flow showerhead (you won’t run out of hot water in the shower, anymore). When you buy a new washing machine or dishwasher, insist on a model with the Energy Star Label. Don’t let the water run during teeth-brushing, shaving or dishwashing. Map the location of your holding tank and leaching field to prevent damage to your system. Knowing where your system is can help you avoid partaking in activities that can block, crush, or crack system components. Knowing where your system is will also save you money on pump-outs and inspections! Don’t block access to the holding tank. Reduce the negative impacts of residential wastewater on our waterways. Sewage from failing septic systems pollutes ponds, streams and wetlands, choking them with mats of algae and aquatic vegetation, causing fish kills and making swimmers and fishermen sick. Failing septic systems can also pollute drinking water wells that you and your neighbors depend on for tap water.